A quick shuffle through my ipod will confirm that I am a great appreciator of all musical genres. Since seeing my first concert as a young girl, Kenny Rogers & Dolly Parton, my list of concerts is now mile long; some of my most treasured tickets include B.B. King (the thrill is definitely NOT gone), Duran Duran in 2005 (Nick Rhodes was my crush in the 80s), The Flaming Lips (with Yoko Ono), and Jimmy Buffet (Parrot heads know how to tailgate!). Plus, I have seen The Eagles, The Reverend Horton Heat, Sting and Depeche Mode more times than I can count. But one thing you may not know about this Guns N’ Roses t-shirt girl who lived her rock-n roll fantasy by holding up a cigarette lighter during “Home Sweet Home” at Cruefest…she is also a devoted classical music fan! I did not grow up around symphony music, and I wasn’t truly exposed to it until a college Humanities class. My professor, who had great knowledge and passion for all things arts and culture, would close his eyes and, while holding an imaginary conductor’s baton, lead fantasy musicians in his CDs of Bach, Beethoven, Mozart and others. We hung on his every word as he spun fascinating yarns about the sometimes controversial, but always colorful lives of the composers and the political events that influenced them. Soon, I found that I was buying CDs and watching for performance dates of local symphonies. I have heard people say that the symphony is boring, but I disagree. From the airy heights of flute to the melancholy sighs of the cello; from the regal boasts of the trumpet to the velvety croon of the bass, listening to the complex sounds of the symphony is like listening to life. The musicians on stage are uninteresting when they play alone. Together though, their assembled melodies blend like graceful paint swirls in a Monet or like fresh ingredients in a delicious cocktail. The more you listen and learn, the more intoxicating symphony music becomes! I invite you to see for yourself at Symphony Arlington, which gathers once a month in downtown’s Arlington Music Hall. 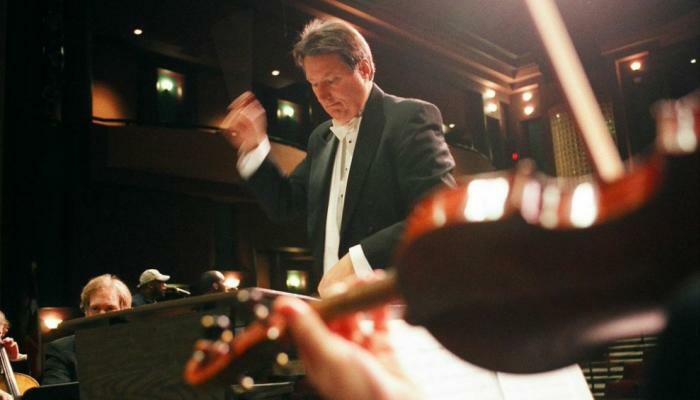 Try Symphony Arlington’s special code “SA10” for $10 tickets online, www.symphonyarlington.org, or by phone 817.385.0484.